2014 is fast becoming one of the biggest years in the career of the dynamic Glaswegian duo SLAM (aka Stuart McMillan & Orde Meikle). With their fifth album, 'Reverse Proceed', heralded as some of their finest work to date, the two legendary producers continue to demonstrate why they are such an important part of modern day electronic music. SLAM instigated Glasgow's underground House music scene in the late 1980's, going on to be instrumental in the explosion of the UK Techno scene, and their quarter of a century of exploits have seen them travel far and wide, leaving scorch marks on dance floors everywhere while taking their uncompromising vision ofTechno around the world. Closer to home, since 1997, SLAM have curated the 'Slam Tent' at Scotland's biggest festival 'T in the Park', with some of the world's best known DJs and live acts playing alongside underground cutting edge talent on their monumental stage. Their firmly established monthly club events in Glasgow, 'Pressure' at the Arches and 'Return To Mono' at the Sub Club, are ranked amongst the best nights out on the planet. 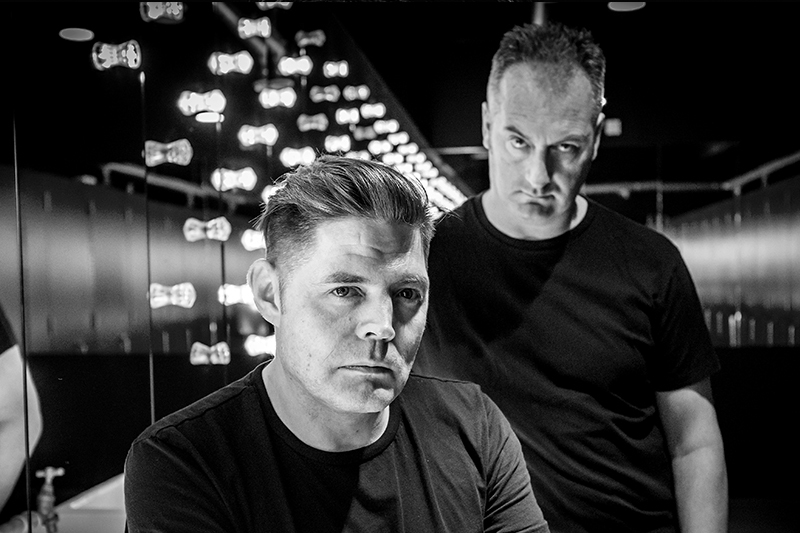 Over the last two years the pair have also developed 'Slam Radio', delivering some of the best DJs and music that Techno has to offer to a massive and loyal weekly following. SLAM have never been ones to rest on their musical laurels. They are constantly and consistently busy in the studio, working on a multitude of tracks, many of which have surfaced in recent times in the form of singles for Figure, Drumcode, Bek Audio and of course their own Soma Records and Paragraph imprints. When Soma reached it's 400th release, who better to provide the soundtrack to 23 years in the game than the two men instrumental in it's formation? Dedication in the studio also brought about the creation of the new album 'Reverse Proceed', an extension of their unending fascination with all things Electronic, musically capturing the true essence of SLAM. Lending their wealth of experience to this new project, they delved into their past for inspiration whilst simultaneously heralding future technologies in the production process. Conceptually, Meikle and McMillan had a human experience in mind and a desire to use their equipment in a more tactile way. They based the architecture around ‘the sequence’, leading to them accessing many of their older machines and keyboards whilst at the same time utilising a modern modular synth setup, merging live manipulation and recording techniques to their full potential and thus giving the album it's Soul. They crafted something with depth and beauty, which seamlessly takes the listener on a mysterious journey past ambient soundscapes and soulful electronica through to soaring intense techno. Another pinnacle in a glittering story.... For SLAM it's the start of a new adventure!